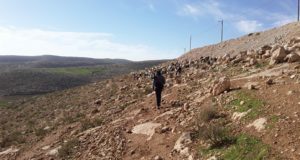 On July 24th at around 1PM, a bulldozer accompanied by 10 military jeeps arrived in the Bedouin community of Mughayyar ad-Deir, about 12 km north east of Jerusalem, near the Ma’ale Michmas settlement and demolished residential structures, structures for livestock, and confiscated vehicles, displacing three families. 16 people were affected by this demolition, including children and a baby less than a year old, who were all forced to sleep on the ground that night with no shelter from the sun in the morning. The community had been issued two eviction orders: one was issued two years ago, the other 5 days before the demolition. Israel justified the demolitions by claiming the community was established on land that was a closed military area. 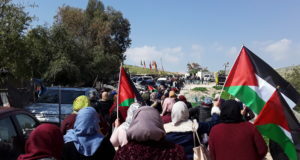 Israeli further suggested that if the community had moved 10 meters or so to the other side of the dirt road, then the demolitions would not have occurred. Israel justified confiscation of village tractors because they were not licensed. Confiscation of their tractors, according to community members, takes away their means of transporting water. It will also prevent them from transporting goods such as food or taking the goods they produce to be sold at markets. 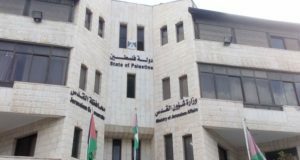 The community did not obtain licenses because of the price (1200 NIS per tractor). Of course now that they have been confiscated, they will have to pay fines if they want to get the tractors and the a trolley back. After the families slept without shelter the night of the demolition, the neighbors constructed a small temporary wood and tin shelter so that the families would have somewhere to sleep. The Red Cross and the ICRC will be returning to the village with basic aid such as tents and perhaps hygiene kits.